Horsetails are an ancient group of land plants that possess many unusual features, including the structure and development of the apertures (stomatal pores) in the epidermis. 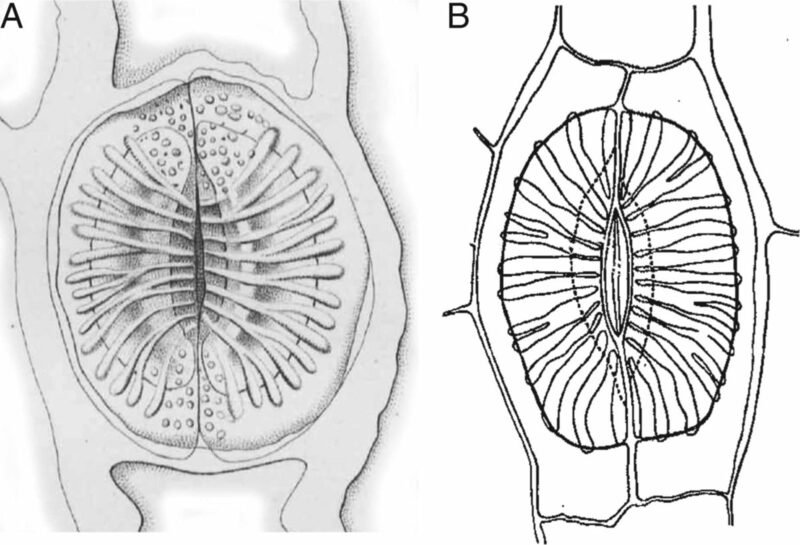 In addition to a symmetric pair of guard cells, stomata in Equisetum are delimited by an overlying pair of neighbour cells with characteristic vault-like radiating thickenings. 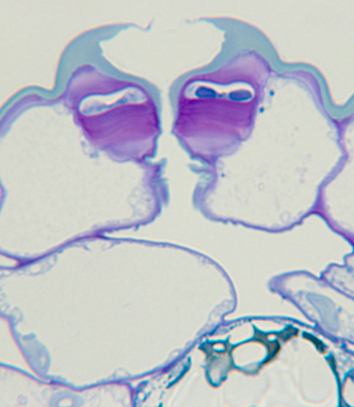 Stomatal development involves a well-defined series of asymmetric and symmetric mitoses. 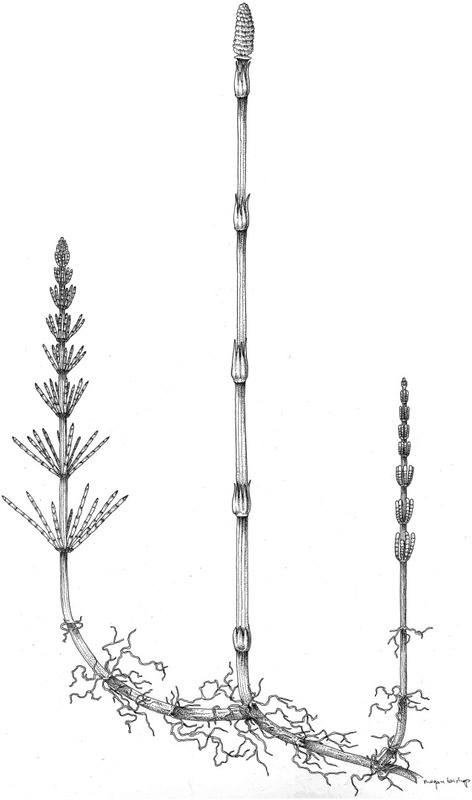 Drawings of Equisetum stomata. (A) ; fig. 10 from Duval-Jouve (1864). (B) E. fluviatile; fig. 12 from Riebner (1925). 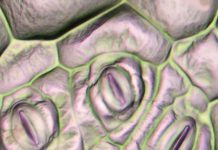 The results of Cullen and Rudall contribute to our understanding of the diverse patterns of stomatal development in land plants. 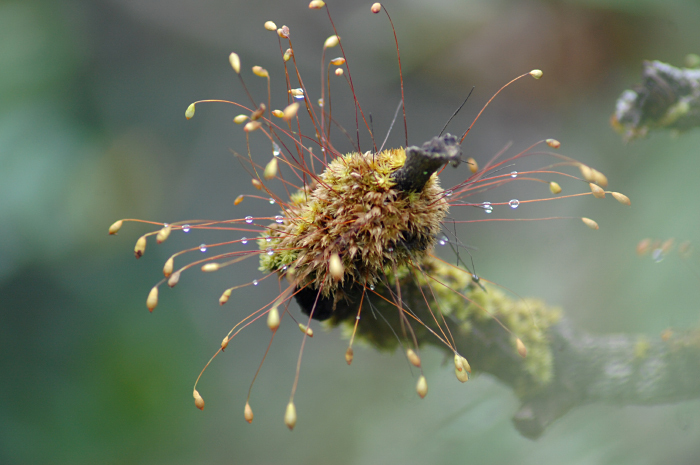 They add to a considerable catalogue of highly unusual traits of horsetails – one of the most evolutionarily isolated land-plant taxa.